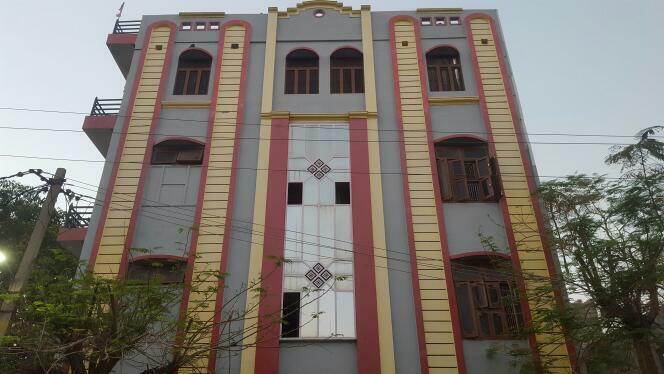 Details: best hostel in kota,Shared campus with Vibrant Academy,Just need to bring your bags,CCTv Camera on all floors and around the hostel in kota,Premium hotel finish with wide Double Glazed windows,Premium and western sanitary in Every wash-room in kota,Fully Air conditioned,2 Water coolers on every floor,In-house mess with breakfast, lunch, High-Tea, Dinner in kota,Centrally Air-Conditioned mess with Hygienic modular Kitchen,Spacious Rooms,24 X 7 Security, water, electricity available in kota,Complete wooden furniture with complete bedding and linen,All Rooms with attached toilets in kota,Indoor games facility,Huge Parking space for cars, bikes, cycles etc in kota,Gym Facility,Availability of Jain Food,Periodical Yoga Classes for Stress Management in kota,Facility of Career Counseling,Medical Facility available on call in kota,With well trained staff, we have a capacity of more then 360 Rooms, which makes us the best and the first choice hostel in Kota. 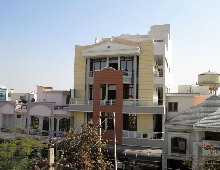 Address: 18,rajiv gandhi nagar kota raj. Deals In: a book basically written keeping in view the challenges a hosteller faces omcehe/she is away from paremts m loved omes. Details:this book caters to teenage-student hostellers and also thir psrentsas it would help them to umderstamding the complexity of teen-life? The above charges include electricity, mess facility rooms are with attached bath having geyser facility in winter season. Silver Spoon Boy’s Hostel is arguably one of the best hostels in Kota. It enjoys a prime location of Indra Vihar and is only a walking distance away from the top most institutes of Kota. Silver Spoon Girls’ Hostel is one of the safest, most comfortable and the best girls’ hostels in Kota. A brand new hostel building awaits you at Rajiv Gandhi Nagar. It’s only a walking distance from Top Institutes of Kota. Silver Spoon Mess is the sister concern of Silver Spoon Hostel formed to produce Quality and Variety of Food Products in form of their Daily Meals-Breakfast, Lunch, Dinner.